Dr. Stanley P. Desjardins is the Founder, CEO, and Chief Engineer (2002 – present), as well as the Founder and former President and Chairman of Simula, Inc. (1975 – 2001, now BAE Systems Protection Systems, Phoenix, AZ). Dr. Desjardins has been involved in developing seat and restraint system design technology and producing products incorporating this energy absorption technology for more than 50 years. Early technology was included in Design Guides, Government Specifications, Standards and Handbooks. The results of his work were used in the development of MIL-S-58095, the U.S. Army’s fixed-seating specification, as well as in MIL-S-85510, the U.S. military’s troop seat specification, and several other federal specifications defining requirements for safety features of restraints and seats for both military and commercial aircraft. More than 30 articles and papers have been authored or co-authored by Dr. Desjardins and have influenced the development of safer systems worldwide. These papers primarily covered the subject of aviation crash safety—specifically, seats. He also developed/qualified the world’s first successful crashworthy/energy absorbing seating system for the UH-60A aircraft in the mid-1970s. Other aircraft equipped with Simula-qualified and produced crew seats include: UH-60 (all models and variants), SH-3, CH-53 (all models), KMAX, AH-64 (all models), V-22 (all models), UH-1Y, SH-60, EH-101 (all models and variants), AH-1Z, BA609, Groen Hawk, and many others. Dr. Desjardins, as President of Simula, was also instrumental in the development and qualification of the cockpit air bag system (CABS) installed in the UH-60A/L Blackhawk and the OH-58D Kiowa Warrior helicopters. He managed the early energy absorbing seat developed for retrofit into the Heavy Expanded Mobility Tactical Trucks (HEMTTs) for use in Bosnia and the energy absorbing Sigma brackets used to support the High-Mobility Multipurpose Wheeled Vehicle (HMMWV) seats. He was also the Principal Investigator on the Small Business Innovation Research (SBIR) program that produced the mine blast technology demonstrator seat for TARDEC. The first 10 years of Dr. Desjardins’ professional engineering career were with Morton Thiokol, Inc. in solid propellant rocket development. He received his BSME from the University of Idaho in 1958 and received an honorary Dr. of Engineering degree, also from the University of Idaho, in 2010. 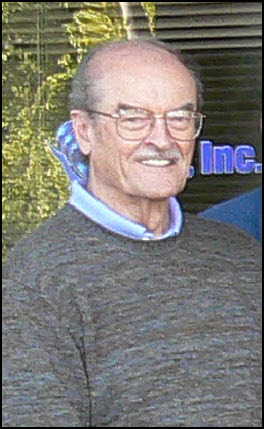 He is the inventor or co-inventor of six U.S. patents. He has corroborated on more than 35 SBIR programs and successfully commercialized 8 distinct technologies currently in use by the U.S. military. In October 2013, Dr. Desjardins was the SAFE Association’s winner of the Michael R. Grost Career Achievement Award. Dr. Dale J. Kennedy is the President of Safe and has more than 30 years of experience in Aerospace and Defense (A&D) in a variety of engineering and management positions. These include research and development (R&D) advancing the state-of-the-art in airborne and space-based cryogenic systems, field engineering on Minuteman ICBMs, and operational test and evaluation (OT&E) on air-to-air and air-to-ground munitions systems while on active duty in the U.S. Air Force for more than 13 years. 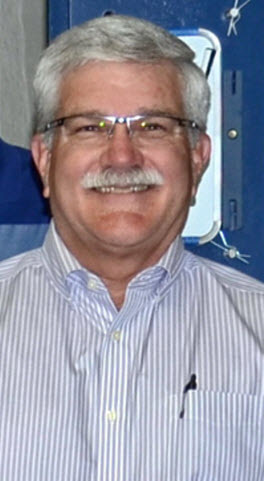 Subsequently, Dr. Kennedy spent more than 10 years working for Simula, Inc. in the areas of reliability, maintainability, and logistics support engineering, quality engineering and management, and directing the engineering function for energy absorbing crew and troop seat systems, cockpit airbags, and armor. He then spent several years leading Orbital Sciences’ Launch Systems Group’s subsystems engineering directorate managing a product portfolio of ~45 “common hardware” products that were used commonly between many different rocket platforms. In addition to his A&D engineering experience, he spent five years leading clinical data management and biostatistics analysis operations for a niche contract research organization (CRO) in support of clinical studies. Dr. Kennedy is an Associate Faculty member in the Industrial Engineering Department at Arizona State University (ASU) and teaches Probability and Statistics for Engineering Decision Making. He has also co-taught Probability and Statistics Fundamentals for Analyzing Ophthalmic Clinical Studies for the Association for Research in Vision and Ophthalmology’s (ARVO’s) annual conferences in 2010, 2012, and 2013. He is a Certified Quality Engineer (CQE) and a Certified Professional Logistician (CPL). Dr. Kennedy is a member of DIA, ARVO, ASA, INFORMS, ASQ, SAFE, and AHS. He joined Safe as its President in 2012.